Has The Improved Blade Made The Wahl 9757-200 KM2 Professional Animal Clipper More Appealing? The photos may not give much away about the corded Wahl 9757-200 KM2 Professional Animal Clipper but the specification does talk about an improved design, which is what has drawn many pet owners to this model. In addition to the heavy-duty 16ft power cord, 13oz weight and ergonomic shape, this 2- speed device promises an improved blade that can run 2.5 faster and offer a smooth cut. Are buyers impressed with these improvements or could more be done? 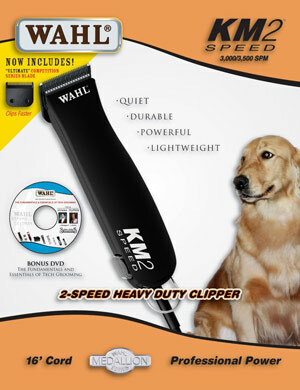 What benefits have buyers mentioned in their reviews for this Wahl KM2 Dog Clipper? The key benefit that comes through with this appliance is the sense of balance: it is tough enough to cut through matted poodle hair but quiet enough to do so without making the dog too uncomfortable. 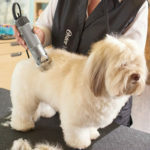 This means that there are definitely two sides to this appliance that combine to offer the performance that most buyers are looking for; however, there is greater versatility in the fact that dogs and cats with many different hair types have been groomed with this clipper and there is even a DVD for grooming horses. The simplicity shown here continues in the maintenance and general use as the blades can be easily removed and adjusted to make sure they are the set at the right cut and can be cleaned. 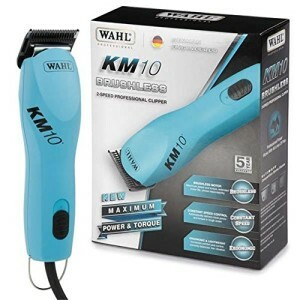 This ease in adjusting the blades and keeping them in good condition also means that the Wahl dog clipper kit should be able to last for a long time, if buyers are careful to look after it, and continue to offer a smooth, quick cut. In some cases, buyers have made the clichéd comparison of a knife through butter to describe these clippers and say they were done in 10 minutes. This may not be the case for all pets but the variable speed settings and general ease of use means that nobody has struggled with it. Are there any downsides to using this Wahl 9757-200 KM2 Professional Animal Clipper? There are mixed reviews about the heat produced by these clippers, with some knocking a star off of their review because, in their words, it gets very hot and others disagreeing by saying that they used a set for 8 years until they noticed it starting to heat up. Opinions can differ on how hot, hot actually is and it all comes down to the discomfort felt by the pet. Other than the additional warning to be careful to buy the right accessories for the right species, there is little else in the way of criticism with this model. 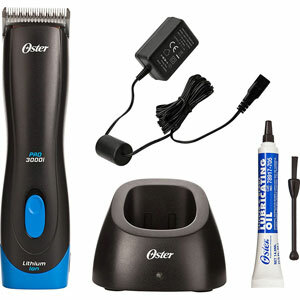 Summary: how does this affect the final verdict on this Wahl Professional Animal Clipper? 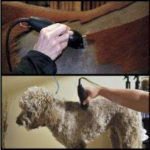 The heat issue may be a little off-putting for buyers with pets that are especially sensitive but it seems that most pets are more than happy to be groomed with this product because it is so gentle and quick. 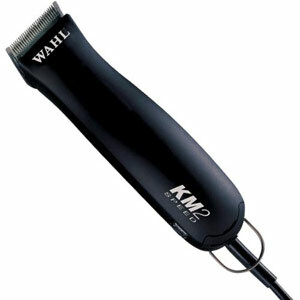 The important aspect to take away from the feedback on this Wahl animal clipper is that with the right maintenance and use, it could prove to be a reliable tool for many years thanks to its simple adjustments, versatility on different breeds, variable power settings and the high quality results that can be achieved. 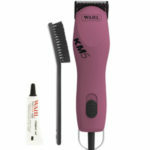 Find more reviews about the Wahl KM2 Professional 2 Speed Dog Clipper on Amazon here. DogClippersReview.org is a participant in the Amazon Services LLC Associates Program, an affiliate advertising program designed to provide a means for sites to earn advertising fees by advertising and linking to amazon.com. Copyright © 2019 · Dog Clipper Reviews, All Rights Reserved.